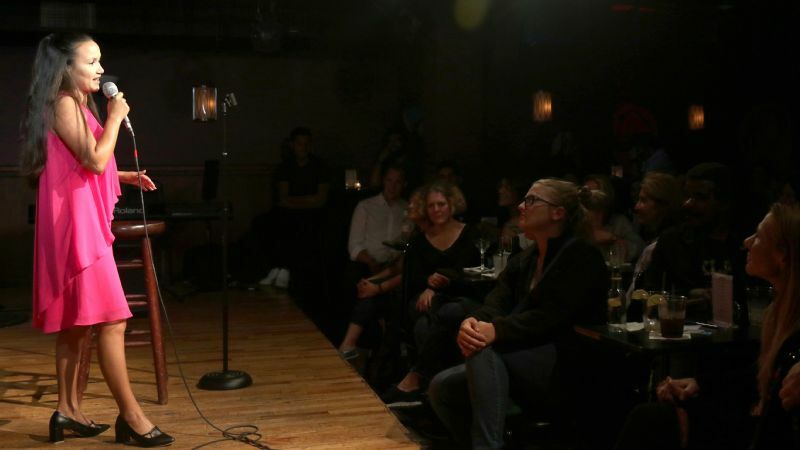 After taking a six-week stand-up comedy course in NYC, Shailee Basnet made her prime-time debut at the Broadway Comedy Club on Sept. 8. "I know I look short," the 5-foot Basnet quipped. "But I'm tall by Starbucks standards." It's a long line to draw from the summit of Mount Everest to a comedy club on the corner of West 53rd Street and 8th Avenue in Times Square, and one of little significance to most. On the surface, the two share little in common, aside from a staggering amount of trash. To conquer one requires extensive training, unwavering self-belief and dogged determination. The other is the tallest peak on Earth. What connects the two (if the punch line above wasn't signpost enough) is laughter. More specifically, the contagious giggles of Shailee Basnet, the 34-year-old former Nepali journalist whom espnW readers first met in 2015, shortly after she and six of her countrywomen -- some of the first Nepali women to summit the tallest mountain on each of the seven continents -- became integral to their nation's relief and recovery efforts after devastating earthquakes hit that April. On the night of Sept. 8, two years later, Basnet stands beneath a sparkly marquee at the Broadway Comedy Club wearing a flowy, hot-pink dress and black pumps. As she makes last-minute edits to her script, she catches sight of a poster advertising that night's show. There, in the second row, four headshots from the right, is her name and image. "It's all happened so fast," says Basnet, who came to New York this June to take a six-week comedy class and was prepared to fly home to Kathmandu at the end of August. "It's New York. You don't get a break like this." She has yet to book a return flight. "Tonight, she's performing with three guys I think are some of the best in the industry, on a Friday in prime time," says Julius Donat, the club's producer. "I think it's big. Broadway has a good reputation. I mean, it's not the Comedy Cellar. 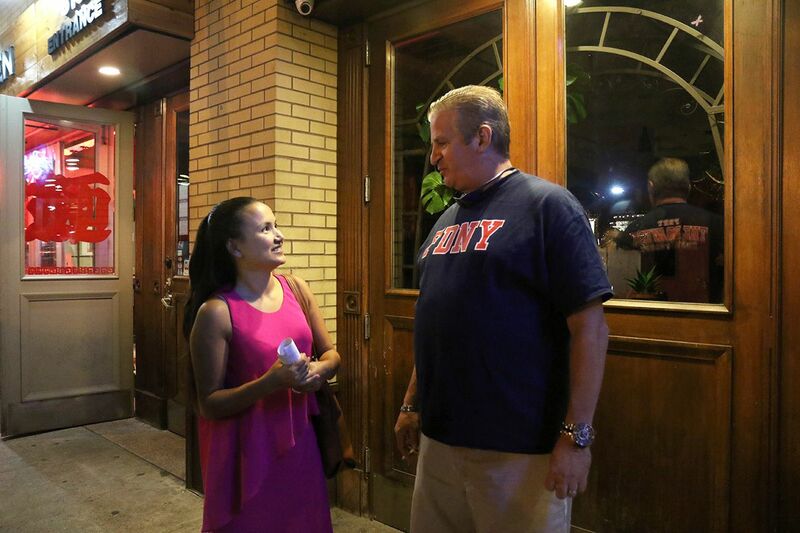 When you're on at the Comedy Cellar in prime time, then you're big. But tonight's a stepping stone." A few hours before the show, Basnet makes last-minute adjustments to her script and tries out a few new jokes on her friends. One step at a time. That's a lesson Basnet learned climbing mountains. When she and nine other Nepali women were selected to participate in an all-women's expedition to Everest, she was 24 years old and had no mountaineering background. She had no sports background. Before leaving for Base Camp in May 2008, the only climbing experience Basnet had was the previous year she and her team had spent training and preparing in Nepal's Langtang Valley. But what she learned climbing Everest, beside the fact that she is stronger and braver than she knew, is that failure is fleeting and anything is achievable if you focus on one step at a time. "You don't need to find the courage to do everything at once. You only need to find courage to write your first joke, write your first script, type it out, print it, tell a friend, and then find a platform where people will hear you," Basnet says. "If they laugh, that's the biggest drug in the world. "You don't have to be discouraged by the idea of having to win over the entire world at once. That has become the way I live my life. If I want to do something, I might have super-big dreams about it, but I know that I just need to take this one step. 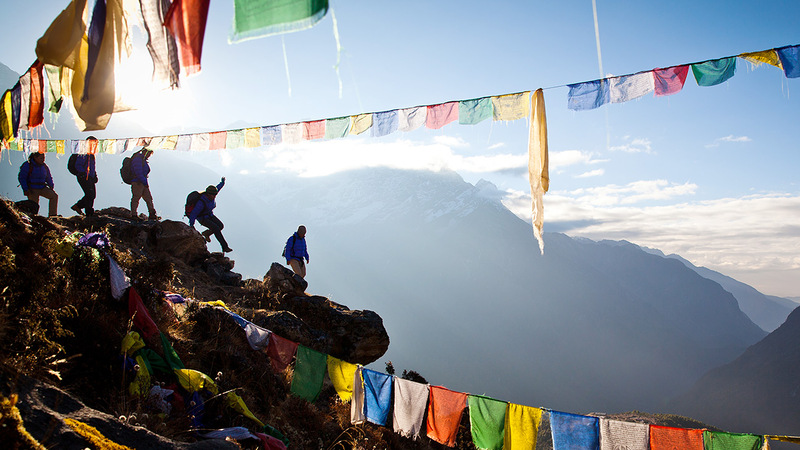 That's been internalized very deeply into me from climbing Everest." 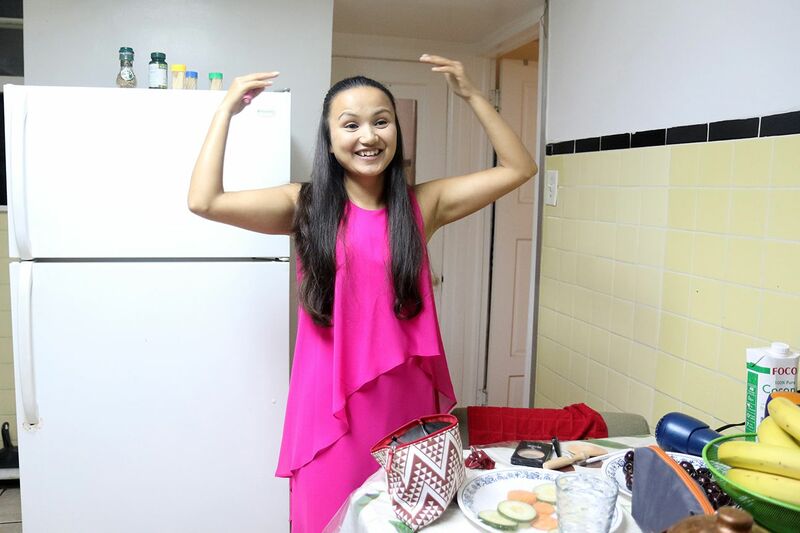 "One big difference between comedy and mountain climbing," Basnet says as she makes a third attempt at creating the perfect half-ponytail, "you don't have to wear makeup on mountains." But long before Basnet began dreaming of climbing mountains, she imagined something even more audacious, considering her hometown, Nepal's capital city, had virtually no comedy scene. A fan of American sitcoms and comedians she discovered via YouTube, Basnet dreamed of becoming a stand-up comic and one day taking her talents on the road. "I am a very proud Nepali and have my roots in Nepal, but I wanted to spread my branches around the world," Basnet says. "I want to learn more languages and make people laugh everywhere." 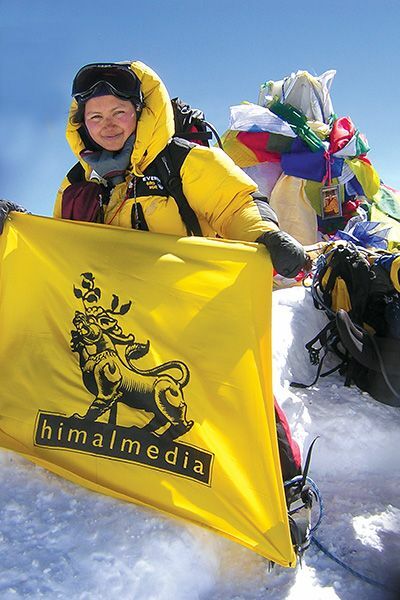 After summiting Everest in 2008, Basnet became the logistical leader of the Seven Summits Women Team, a group of seven women from the Everest expedition. Along the way, she held on to her comedy aspirations. In fact, climbing Everest and the six mountains that followed showed Basnet a roadmap for achieving audacious dreams. 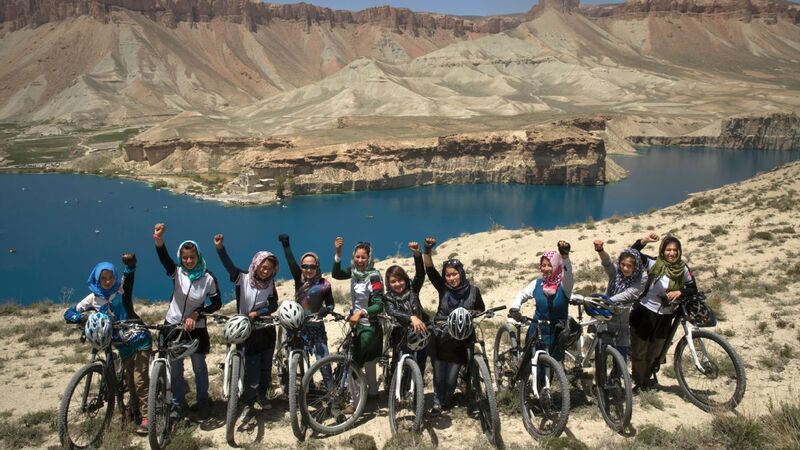 On each of those climbs, she and her climbing partners were also constantly reminded of the power of laughter and lightheartedness to over overcome fear, cold and exhaustion. "When I'm preparing for a show, it feels pretty much the same as preparing for a climb. The show is literally my mountain," Basnet says. "But right before the show, right now, this kind of emotion does not happen on the climbs, because on a climb, you are more in control. There is so much calculation that goes into climbing. You are prepared for the worst and hoping for the best. Tonight, there will be 200 people in the audience, and I don't know what the energy will be like out there. 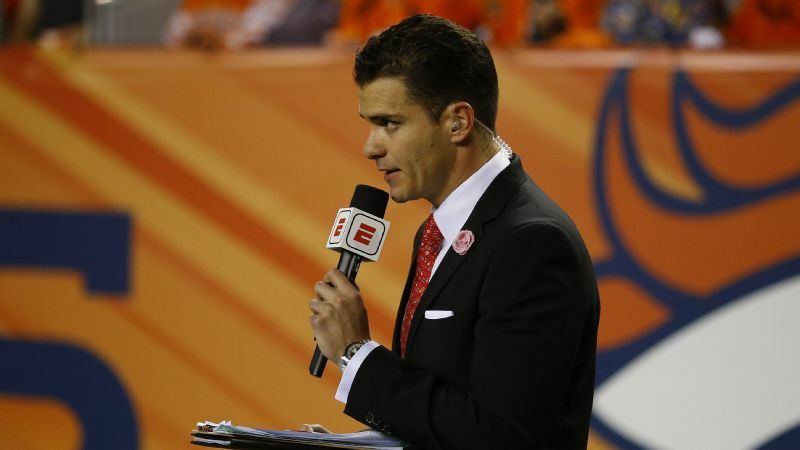 In a way, there is more unknown walking onto that stage." On May 24, 2008, Basnet reached the summit of Mount Everest and became part of the most successful all-woman expedition in Everest history. Basnet took her first steps onstage at a show in Kathmandu in 2011 -- she says she's still trying to top the applause of that night -- and then began organizing open-mic nights around the city to have a place to showcase her new material. On trips with her husband, Tyler McMahon, to visit his family in Boulder, Colorado, Basnet attended stand-up shows and open-mic nights and began dreaming of taking the stage in English, her second language, as well. For inspiration, she searched YouTube and Netflix, paid close attention to the news and read up on American pop culture. She also studied comics she believed were funny in any language and across any culture. "At first, I worried that my jokes wouldn't translate because people kept saying comedy is very local, very cultural," Basnet says. "Then I noticed that I could understand 100 percent of what Ellen [DeGeneres], [Jerry] Seinfeld, Russell Peters, all the big comics, were saying. If I can understand them, then I can work to get to the point where they understand me. Beneath the surface, we are all the same. Human emotions, issues, even politics, it all becomes very translatable if you go deeper." Basnet says she learned from Seinfeld to be disciplined and write one joke every day, and that she dreams to one day have a one-hour Netflix special like Bill Burr and Maz Jobrani. And although she says she doesn't share the same comic sensibilities as Amy Schumer, she has followed Schumer's career closely, supportive of any woman in the business. There are few comics in Nepal, and only a handful of them are women -- another way in which mountaineering has prepared her for comedy. How she arrived at this moment, however, still feels a bit like magic. In June, Basnet had a couple months of free time, so she decided to spend them in New York -- a city she got to know on fundraising trips during the Seven Summits mission -- and take the comedy course. There, she and her classmates learned joke structure, tried out new material and even performed a graduation show at the Gotham Comedy Club, where the school's owner, Andy Engel, is a producer. After the graduation show, Engel invited Basnet to perform at the club's Top Shot Comedy Showcase on Sept. 20. Once her name appeared on the bill, other producers came calling, including Donat. 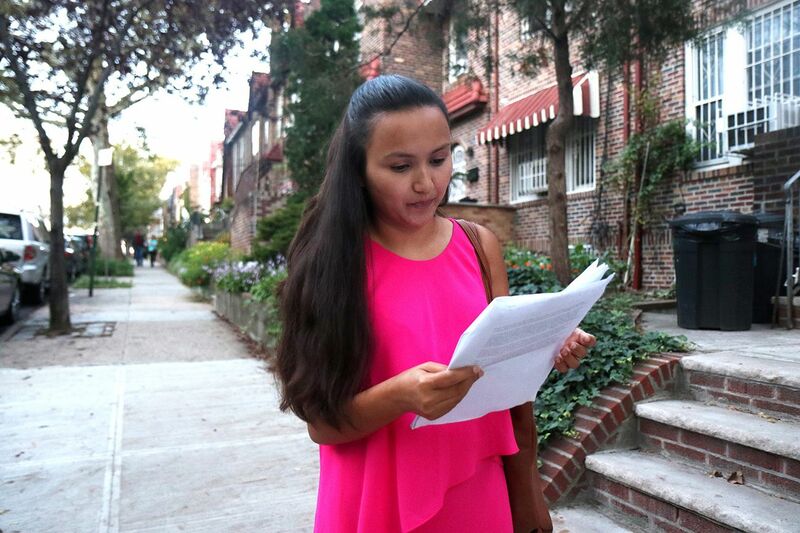 Basnet has spent the past three months living in Woodside, Queens, with friends. It's from there that she has ventured daily into Manhattan to chase her comedy dreams. "I'm very nervous, I think," Basnet says in the car on the way to the Broadway show. "This close to a show, there is a certain autopilot thing that is happening. I don't know how to describe it. I'm in surrender mode right now." At the club, Basnet meets with Donat, goes over the schedule and learns she will take the stage around 10 p.m., about halfway through the lineup. Until then, she sits at a table in the theater and makes mental adjustments to her set, which she says is a work in progress. Determined to one day turn her 10-minute set into a two-hour show that sells out arenas, Basnet puts as much thought into tonight's performance as she once did into her climbs. Her outfit, her shoes, her hairdo, it is all meant to silently convey something to the audience. The pink dress flows with energy and shows her softer side, while her square heels provide a bit of lift, but not so much as to render her "short" jokes unfunny. Her hair is tied half-up; a ponytail was too stuffy, her hair all down, too loose. Before her Broadway debut, Basnet meets with producer Julius Donat, a Florida transplant and comedian known for his Rodney Dangerfield impersonations. "I think this is big," Donat says of Basnet's Friday-night booking. Once on stage, she draws connections between her life in the third world, her life as a Nepali girl who is married to a white guy from Colorado and the lifestyle differences their relationship illuminates. Her political jokes draw the biggest laughs of the night, as do those she quips are "just for the ladies." After her allotted time, a red light begins to flash from the back of the room and Basnet ends on a high note, happy with how her debut has gone, but with mental notes on how to improve her set for the show on Sept. 20. "That's my time," she says. "Thank you, New York." One step at a time, she exits the stage.